We are gathering our people! Join us for a one of a kind custom tailored 2 day event designed to discover and unleash your true calling through the Art of Making from Meaning. The Silver Savior Art Ranch is nestled in the foothills of the Rocky Mountains. You will have a weekend of uninterrupted time to create, write, play, be immersed in nature and uncover your true calling. Already have an idea of what that is? Here, you will have the time and space to discover next steps on the path of releasing your vision! Speaking with folks around the country, one thing is certain....now more than ever people not only love art, but they want to come closer to the divine by making art. Take the time to invest in yourself and clarify your creative vision, whether it be for yourself, or in starting a new art business. Mentorships run 1-4 weeks with all inclusive lodging if you are not local. 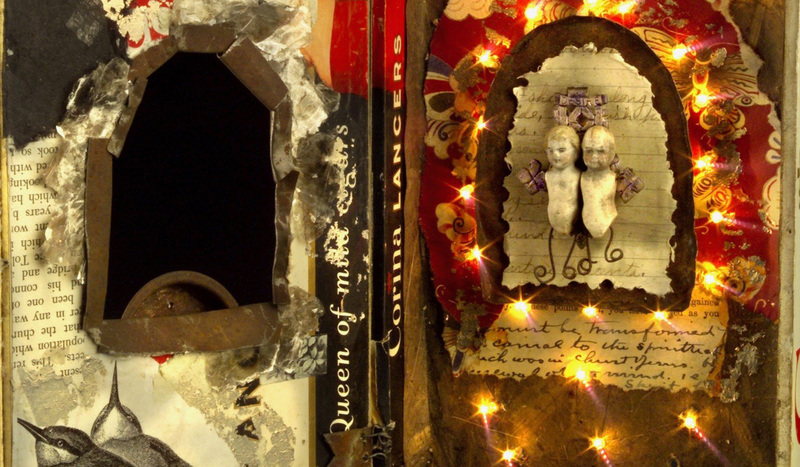 In this intensive one on one, your creative vision will become evident through writing, painting, found object shrines of Intention and jewelry techniques if you wish. In addition, business aspects will be covered if that is where your dreams are calling. This is a custom tailored workshop intensive that we will construct together prior to your mentorship. Please contact us at info@sweetbirdstudio.com to inquire about available dates.